After I wash my collard green I put it over very light heat to get it to wilt just a Little! Getting it to wilt a little will make it easier to roll. 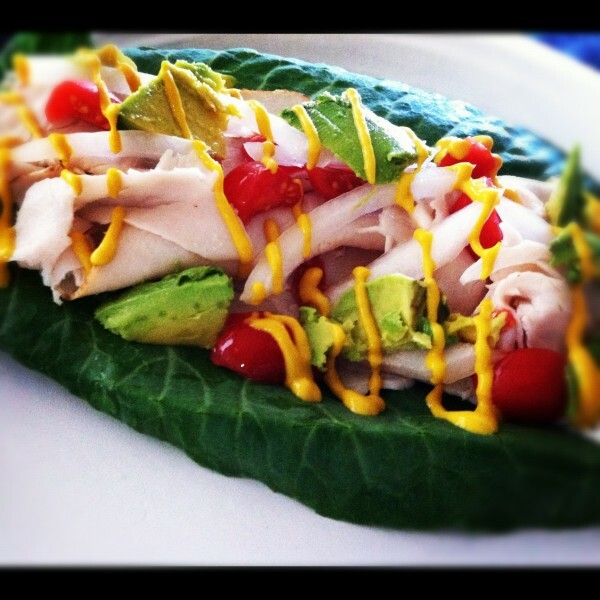 Place your ingredients inside your collard green and roll just as you would a burrito. But if you’re impatient like me you just hold it together like a taco! 😉 Whatever floats your boat!